What is E-Comm and what does it do? E-Comm has an annual operating budget of approximately $75 million. E-Comm operates two purpose-built facilities. One is located in East Vancouver. One is located in Saanich. Both are post-disaster buildings that are earthquake resistant. E-Comm began operations 1999. E-Comm is governed under the Emergency Communications Corporations Act (1997) and incorporated under the BC Business Corporations Act. 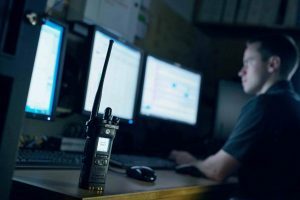 What role do call takers and dispatchers play in emergency services? 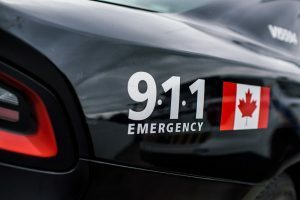 9-1-1 callers and police officers, firefighters, and paramedics to ensure a safe, swift and appropriate response. 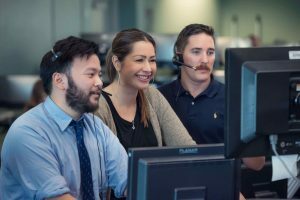 What is the difference between a call taker and a dispatcher? 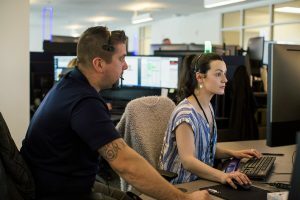 E-Comm call takers and dispatchers use computer-aided dispatch (CAD) systems to ensure that call details are automatically transmitted from the call taker to the dispatcher. CAD systems allow the 9-1-1 call taker to be on the line with the caller while a dispatcher is mobilizing units to help.